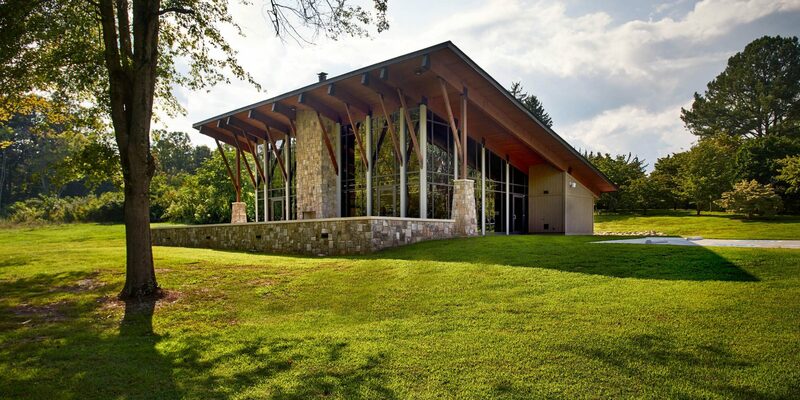 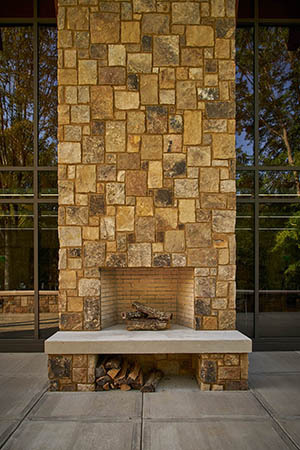 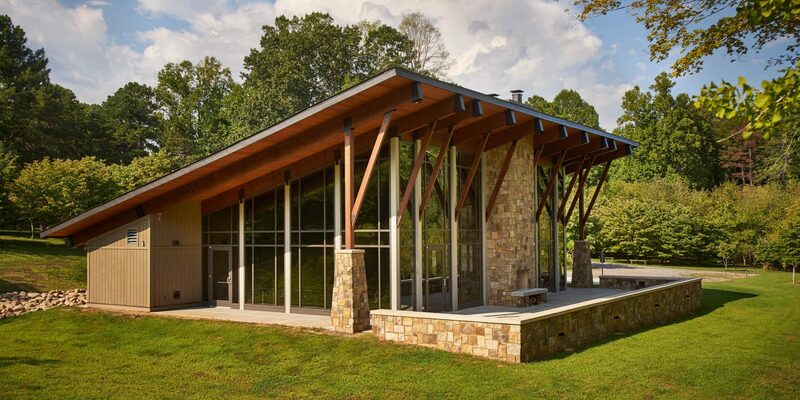 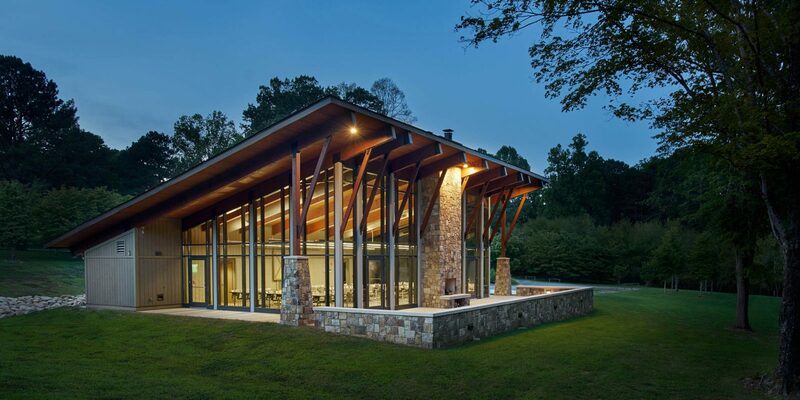 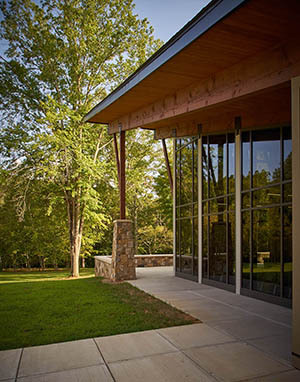 Design and build a facility in the remote wooded area of the Arboretum, with minimum intrusion and provide a natural blend utilizing wood beams and local stone. 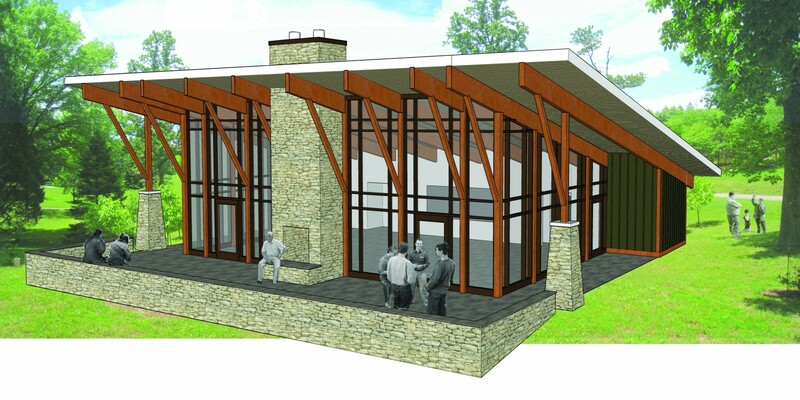 Initially hoping to simply add a classroom wing to the existing Administrative Building, soils issues had us asking questions about the why for the project. 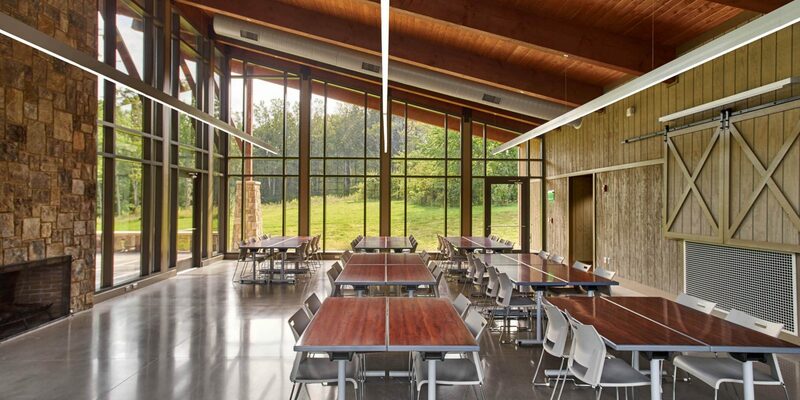 We discovered the real dream for their facility was to have a community gathering classroom, nestled deep within the Arboretum. 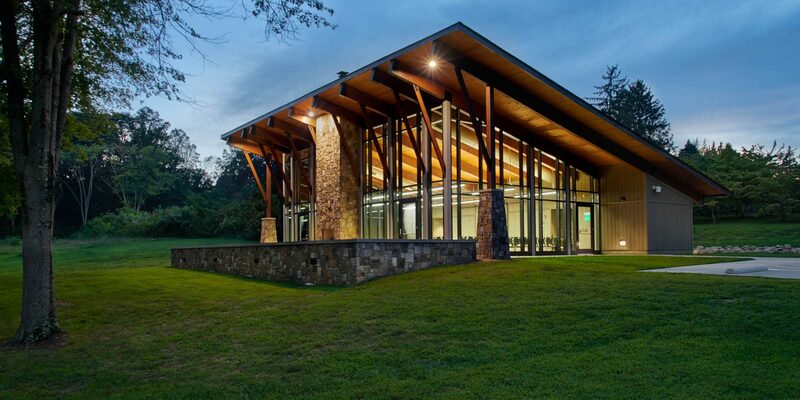 The design blends with the surrounding landscape and features large timber beams, stone fireplaces and a rhythmic storefront that resembles the trunks and limbs of the forest trees. 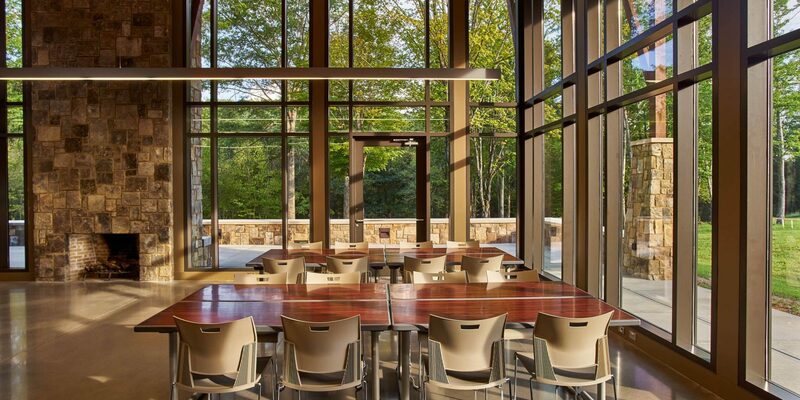 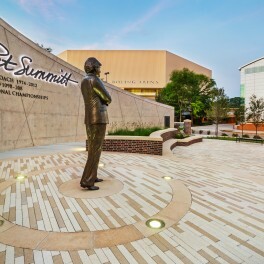 The Arboretum Auditorium has become an instant success with the University, and especially with those who discover the structure while visiting the grounds.